Marina, boatyard, yacht brokerage, chandlery, Jamestown Newport Ferry. Air ride yacht transport, mobil crane services. Caretakers of fine yachts. Short Business Description: Marine diesel engine maintenance and repair. Diesel marine generator repair. Associated systems. Marine diesel engine maintenance and repair. Diesel marine generator repair. Associated systems. Full service boatyard: complete maintenance services, seasonal & transient mooring service, winter storage, commissioning & decommissioning. For over 35 years, the crew at LATITUDE has been providing high quality crew gear for Corporations, Yachts, Events and Teams throughout the world. We are located in Newport/Jamestown Rhode Island, the heart of the sailing community in the US. We source, design and decorate high quality innovative clothing and gear. If you are a sailor or a yachting event coordinator, we have solutions for ocean, offshore, coastal, inshore, dinghy and one design sailing. We specialize in performance foul weather gear, Technical gear, clothing and Accessories. Latitude Yacht Brokerage has a seasonal office at Dutch Harbor Boat Yard and is the in house brokerage firm for Dutch Harbor Boat Yard as well as Conanicut Marine. We specialize in cruising, racing, and offshore sailing yachts as well as downeast style cruisers and motor yachts. 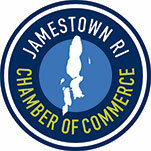 To preserve and improve the quality of life in Jamestown and create an atmosphere of goodwill between the business community and the residents of Jamestown. This can be achieved by focusing on both the village area and the larger business community on the island. Jamestown RI Chamber of Commerce © 2019. All Rights Reserved.